Metal Gear Solid 2 came in great condition. The disc, the case the game pamphlet were all u damaged, for a second I thought it was my old game. I played the game right after I put my kids to bed and it played perfectly with no skipping or freezing. The game itself as a story is great, I love the whole concept of avoiding the Russians and sneaking around and hiding. One of the features I have always loved about this game is that you can play very easy to get the feel of the game and lead up to hard to play for a challenge to yourself. The snake tales are my favorite, they're great challenging mini games that really put you to the test...or I'm not as good as I thought I was. Either way, I can't wait to play it again! While looking through the reviews here, I've noticed most people only review the game, and not the quality of service, or vice versa. With this being a site that retails in used games, I thought I might do both in order to help out everyone. QUALITY OF SERVICE: The game came complete with case and manual, just as described, however the case was a little sticky, in that it was hard to get closed properly. The game was slightly scratched, but my Xbox has had not problems playing it. 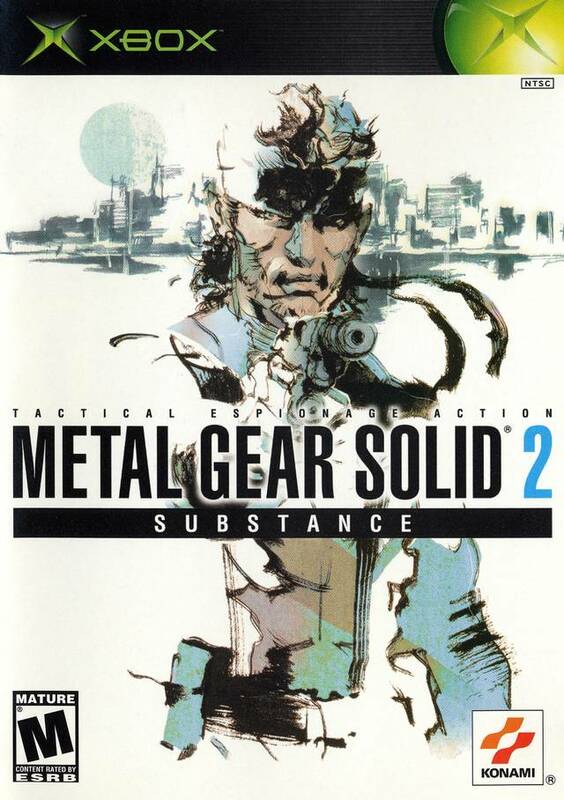 GAME REVIEW: Metal Gear Solid 2: Sons of Liberty (this is the expanded version known as Substance, which is exactly the same as the original, but with two extra mission modes) follows Raiden, a rookie agent, as he attempts to stop a terrorist plot on board a government facility in the New York City Harbor. That's the simplest way to describe this plot, because it is not simple at all. 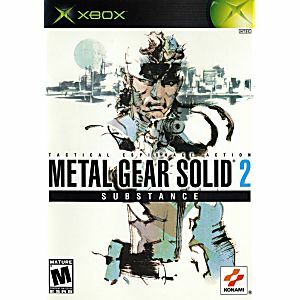 The plot can make sense even if you haven't played Metal Gear and Metal Gear 2: Solid Snake for the MSX2 or Metal Gear Solid for PS1, but you should in order to get the story in order. The controls are a little weird, but manageable, the difficulty is hard or easy, depending on how you play the game, and it features a Vampire, a Ninja, and a Fat Dude on Roller Skates who likes bombs. What more could you want? The music is beautiful, the graphics awesome for its time, the voice acting great, and the plot is amazing. It's like a high tech sundae with a combination of depressing, funny, and WTF sprinkles on top. This is a great game for anyone who has a lot of time to put into it (and unless you're a veteran player, it will be a LOT of time), but would appeal more to those who like a game with plot and less to those who want to shoot anything that moves. I recommend it extensively. Awesome game, ended up being under $5 all together. Shipped and arrived quickly, already rebeat this classic once. Very happy would work with this seller again. Thanks again.